Yesterday, was the day of tax returns. Yesterday, I “accidentally” looked in my local drugstores catalogue. You do the math. I’ve been shopping again. 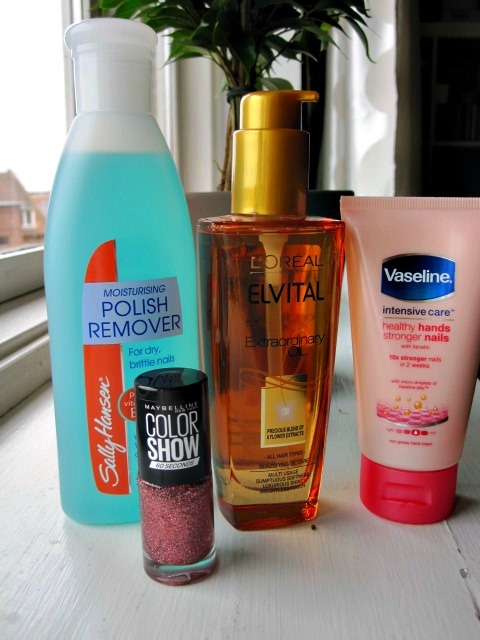 ^^ Not too long ago a friend of mine asked me if I would do a nail polish remover comparison/review because she needed a new one and I go through a lot more than she does. I thought I’d start with this one from Sally Hansen – I was sold on the “moisturishing”-part – let’s see if that is actually true. 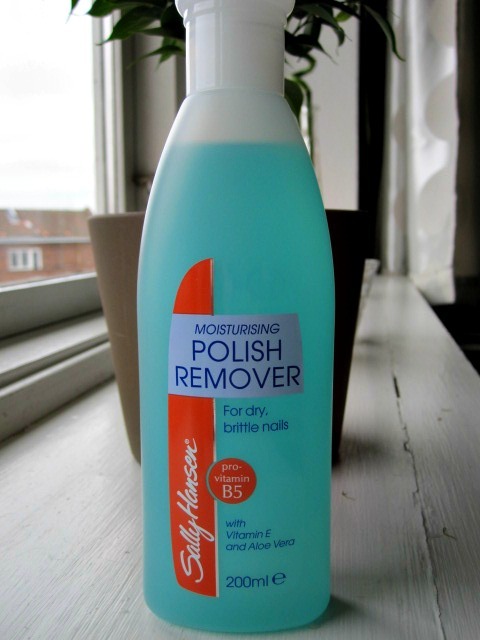 I actually doesn’t say anywhere one the bottle, but I think it is acetone-free. ^^ I suffer very badly from dried out hair. It’s only just after I’ve gotten my hair cut that it’s actually fresh and soft, and it annoys me so much, because when my hair dries out I get all of these tiny “whiskers” all over that I am unable to tame. 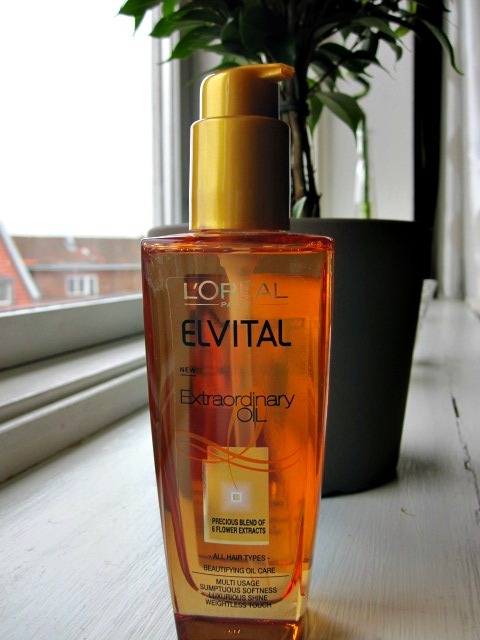 I’ve read good things about this oil and I’m exited to see if I will see a difference after using it. I’ll keep you posted on that! 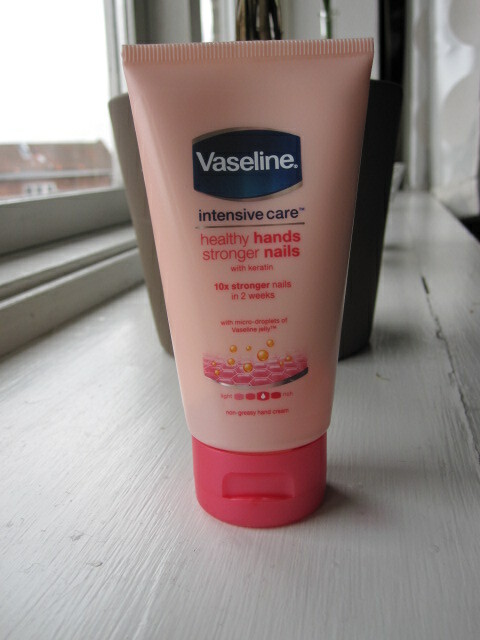 ^^ I actually thought Vaseline only made.. well, vaseline. But apparantly they have a large range of products. I only bought this because it was on sale and I’d heard that vaseline was good for dry nails, but I’d feel weird rubbing actual vaseline on my nails. But I’m glad I did, because Oh! My God! This is probably the best hand moisturizer I’ve tried in years. It dries incredibly quick! Under a minute and you’re free to use your hands again without greasing up everything. And after only using it for a day I can feel that my hands are softer. It promises to make your nails 10x stronger after 2 weeks of usage, so we’ll have to see about that. 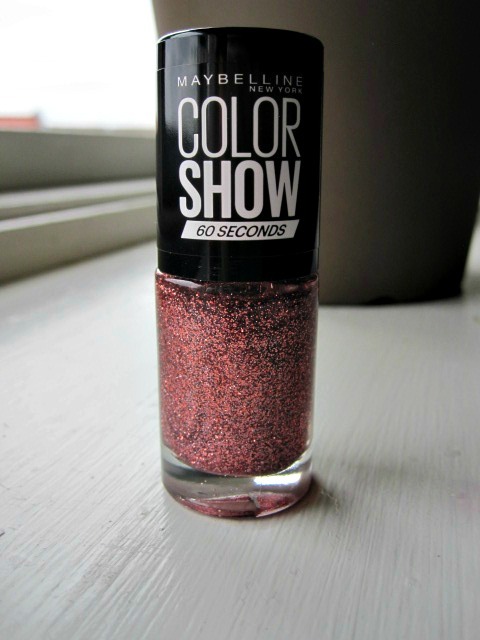 ^^ This one looks so so pretty, but I was actually pretty disappointed when I opened it, because I thought it would have a coloured base, but the base is clear so it’s just a glitter topper. Man, I wish it would just look like it does in the bottle! I guess I’ll have to buy a copper nail polish to apply this over. I’m really into the copper color right now, but I actually don’t have any polishes in this color – yet.